PropNex Property agent Dominic Lee has been launching multiple Google AdWords campaigns on multiple new launch properties for the past year since 2016. The average cost per click (CPC) was high and leads were plenty, but the average cost per acquisition/lead (CPA/CPL) was high. After attending Equinet Academy’s Google Ads course, Dominic applied industry best practices on his AdWords campaigns, including launching Display and Remarketing campaigns, and has seen remarkable results. His most recent campaign on the newly launched Martin Modern condo project has seen 66 leads in a span of less than two months. He started by dividing different keyword themes leading to different pages into different ad groups. For example, floor plan keywords such as “martin modern floor plans” would lead to the martin modern floor plan page on the website. 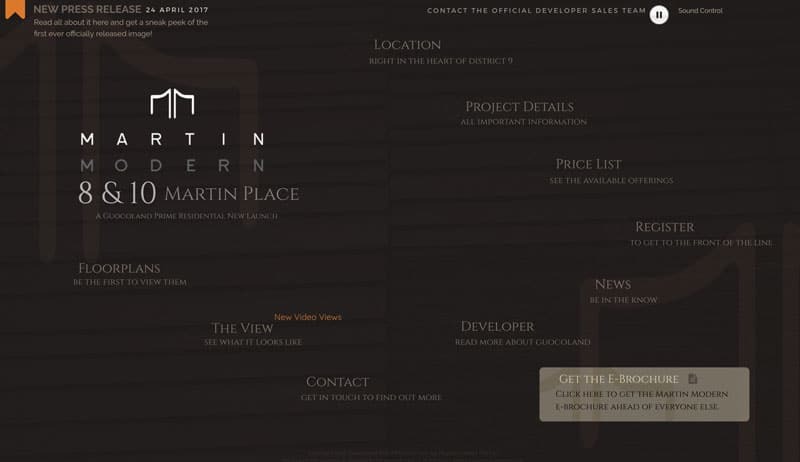 So if a potential buyer keyed “martin modern floor plans” into Google, he would see a text ad about Martin Modern floor plans. And upon clicking on the ad, he would be taken directly to the floor plans landing page. This increased relevancy and the click through rates (CTRs) and resulted in a bump in Google AdWords’ Quality Score metric system, decreasing keyword cost per click and increasing the average positions of his ads. Other techniques applied included keyword match types, ad extensions, remarketing, and conversion tracking. These optimisation techniques resulted in at least a 250% decrease in cost per acquisition. I.e. $100/lead instead of $250/lead. Source: Dominic Lee, Head of PropNex Powerful Negotiators Group, who attended Equinet Academy’s Google Ads course.